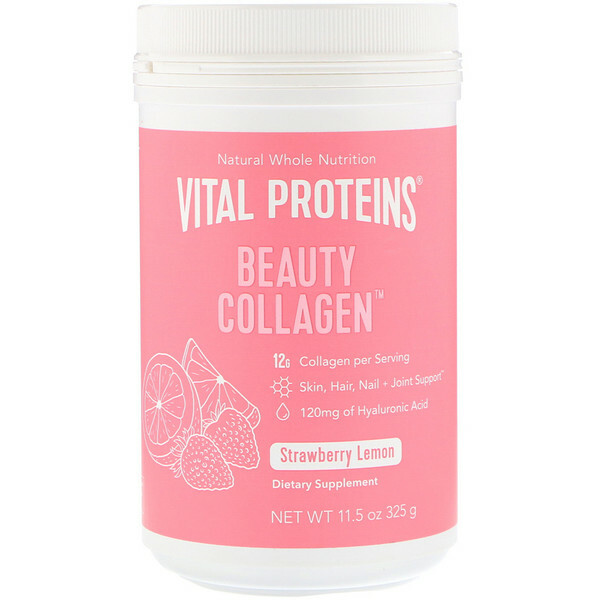 A nourishing elixir for glowing skin and beauty both inside and out, our Beauty Collagen is made with a natural fruit blend as well as collagen peptides, hyaluronic acid, and probiotics. This light-tasting elixir can be conveniently mixed into water, tea, lattes, and more. 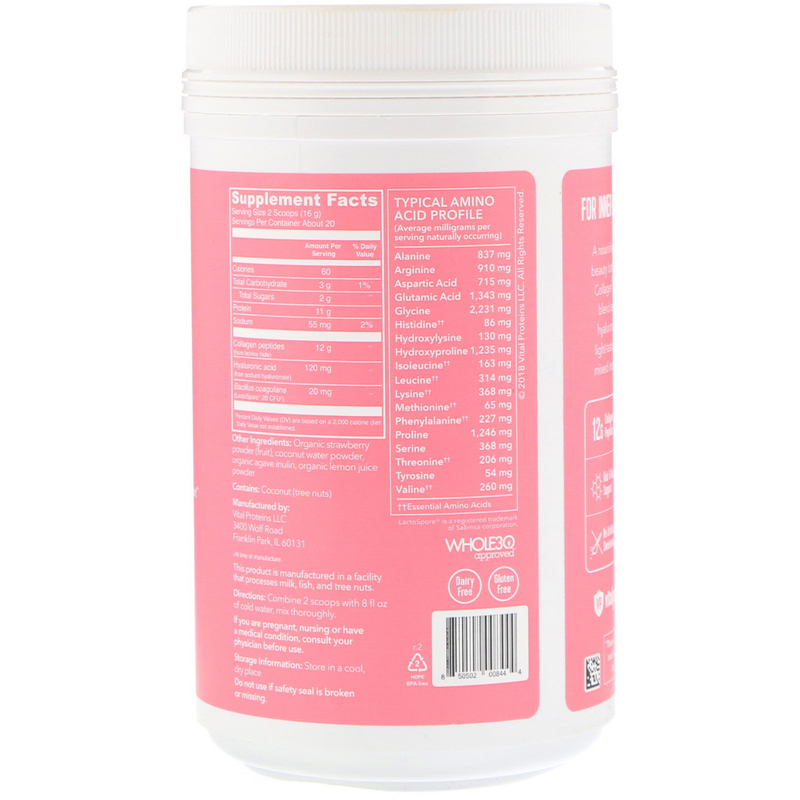 Organic strawberry powder (fruit), coconut water powder, organic agave inulin, organic lemon juice powder.